Worry no longer. There are a number of things you can do to market your business for free. Yes, for free. I've listed 7 of the top free tools in this blog post. If you want my master list of 30 free marketing tools, then you can download it here. These are the same tools I've used in my 10+ year career in marketing and public relations. If you’re not on social media, then you’re missing out on a huge audience. Chances are your competitors are also on social media, so you’re missing out on a competitive advantage too. Need I say anymore? There are a lot of social channels out there, so it’s easy to get confused about which one is right for you (check out this post on the pros and cons of each channel). Some of the top social media channels include LinkedIn, Facebook, Twitter, Periscope, Instagram and Pinterest. Each one offers its own benefits. For example, you can post your own blogs on LinkedIn or host a quick video tutorial through Periscope. If you’ve got awesome visual content like photos and video then Instagram and Pinterest should be your go-to. Facebook has the biggest audience and your target audience is already likely on there. Don’t discount other lesser-known channels such as Slideshare and Quora. Let’s start with Slideshare. You can post tons of great business-related content like sales presentations, PDFs, whitepapers, etc. Slideshare has an audience of 60 million, yet only 17 percent of businesses are using the platform (less competition for you). If you’re curious about the benefits of Slideshare, check out this blog post from CommsAxis. Quora is the modern version of Ask Jeeves. People visit Quora to ask and answer questions for just about any industry you can think of. So how do you get noticed on this platform? Search for keywords pertaining to your industry and take a look at the questions people are asking. If you can answer them, then go for it (just leave out the sales pitch). Include any relevant links to your website or social channels. Soon people will start to view you (and your company) as the experts. Many businesses aren’t making the most of their client testimonials. Some don’t use them at all and if they do, it’s a generic quote that could come from any client in any industry. In order for a client testimonial to be truly valuable, it needs to have some meat to it. Get to the heart of why your client benefitted from your services and use photos and video to illustrate the story whenever possible. Once you’ve got the testimonials, don’t just feature them on your website. Share them on all your social channels and send an email to your list. Ask your client if they would be willing to speak with any media about how you’ve benefitted them. Ask them for a glowing recommendation on LinkedIn. If the work you did with your client is especially notable, then submit the project for an industry award (more on that later). Get creative and make that testimonial work for you. Chances are you’ll be attending some networking groups, conferences or trade shows this year. Your work doesn’t start at the event – it starts beforehand. Let your social media followers know you’ll be in attendance and ask them to tell you if they’re joining. Set up coffee meetings with key people who will be in attendance. Many conferences and events also have designated hashtags on Twitter that you can use to promote your presence and engage with other attendees in real time. Follow up with the conference or trade show organizer afterward to get a list of the people who attended. Send them a customized email with a freebie to entice them to opt into your email list. (A word of caution: don’t just mass email all the people who attended without putting the email into context or introducing yourself. That’s just asking to have your emails blacklisted as spam). Contrary to popular belief, media relations is not dead. But you do have to be strategic about whom you reach out to. Look at local papers or business journals and see which reporters are covering your industry. Brainstorm stories to share with the reporter – maybe it’s your perspective on a hot industry topic or a new product or service your company is offering (make sure the product unique and impacts a significant number of people). Consider industry trade magazines or journals as they may have more of an interest in your company. Also look into blogs that address topics in your industry – bloggers are always on the hunt for great content. Above all, the key to any successful media relations strategy is to form a relationship. Don’t tell the reporter what you want he or she to do for you – show how you can benefit them. Email is still one of the top ways to reach your audience. And with free tools like MailChimp, email marketing comes at a very low investment. However, many businesses are doing email wrong. For example, some send emails sporadically with no content strategy behind them. Others send emails every single day and wonder why they receive so many unsubscribes. Find a happy medium and stick to it. Make sure that every email you’re distributing has some form of value. Offer freebies whenever possible. A freebie doesn’t have to be complicated – it can be a video tutorial, checklist or whitepaper. Anything that gives people extra value and shows them that you know your stuff. Remember to engage with your email list like you would with someone face-to-face. Ask them what they’re interested in and provide content that speaks to those interests. After all, relationships are a two-way street. If you’re not blogging, you should be. According to BlogHer, 81 percent of U.S. online consumers trust information and advice from blogs. And according to InsideView, B2B marketers who use blogs generate 67 percent more leads than those that do not. Trust me, there are more stats where those came from. Maybe you’ve wanted to start a blog, but you’re not sure what to write about. Chances are you have more topic ideas than you realize. Is there a trending issue being talked about in your industry that you have an opinion on? Blog about it. Did your team just volunteer in your local community? Blog about it and post photos. 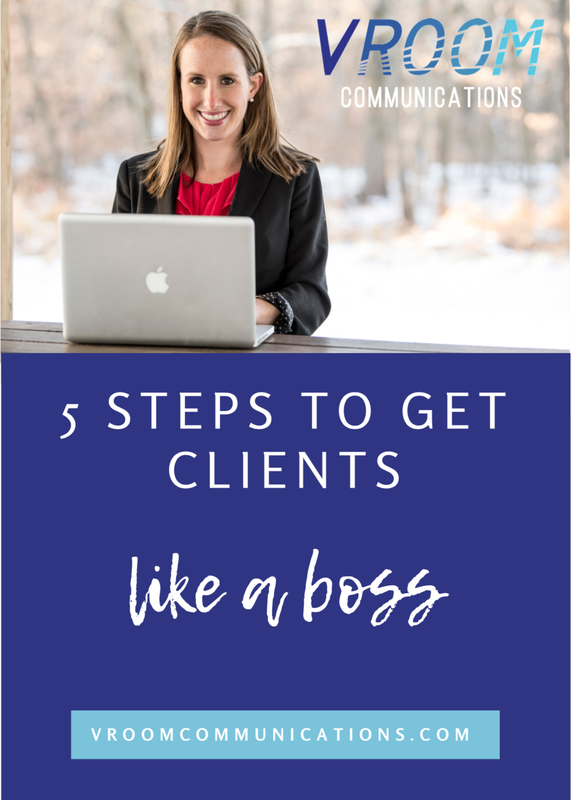 Have your clients been asking the same question over and over? Blog about it and offer an in depth answer. Your blog will help position you as an expert in your field and will also help your website move up the ranks of Google searches. Make sure every post includes keywords for your industry, as well as photos and video (if applicable). Short on time? No problem. You don’t have to blog every day to be successful. There are plenty of amazing bloggers who only post once a month. The key is quality over quantity. Many local business journals or trade publications hold annual awards recognizing businesses in specific industries. Some also recognize business professionals who are highly regarded in their field or who have found success at a young age. If you fall into any of these categories, then consider nominating yourself or your company. It’s a great opportunity for professional recognition and to gain new sales leads. For example, one of my clients was recognized in her local business journal for her work in the community. Even though the award was specific to her volunteer projects outside of the office, she still received many inquiries from prospective clients. People want to work with humans, not robots. Use these awards as a chance to give people a behind the scenes look at your company and what you’re passionate about. If you’re interested in getting nominated but aren’t sure where to look, contact me. I’d be happy to give you some recommendations. I hope this list shows you that there are tons of free tools and resources out there to promote your business. Don’t let your hard work fall by the wayside. Get out there and share what you’ve been doing with others. You’ve earned it! For more information, download my full list of 30 free marketing tools. Happy marketing!